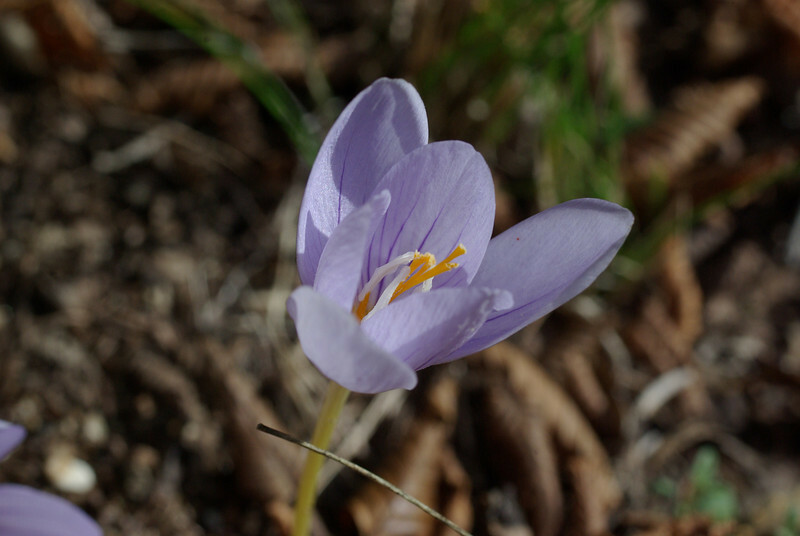 Crocus pulchellus 1. 31st October 2012. Mount Belles, Thessaloniki, just north of Lake Kerkini, Greece. Flowers September to November; leaves absent at flowering time. Flowers white to deep lilac-blue, usually veined on the outside with violet-purple.